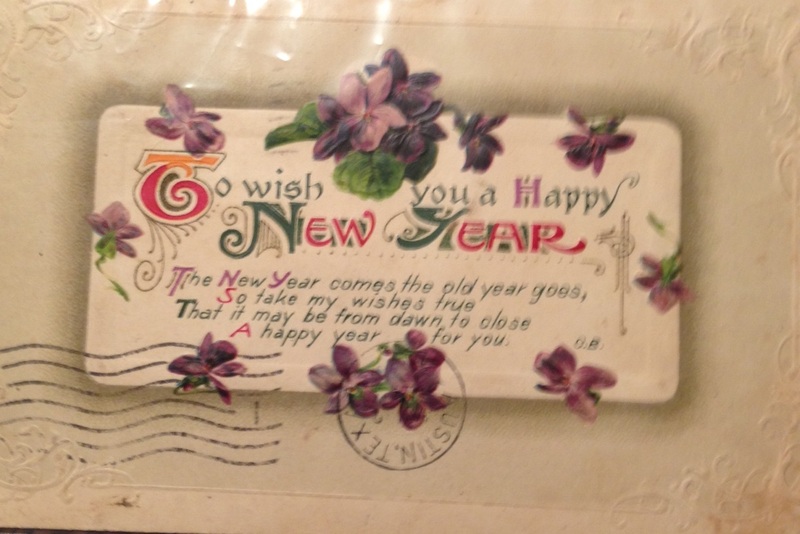 This postcard greeting from my vintage card collection was originally sent in 1912 and it’s my wish for you today. Thank you Judy. Happy New Year! I just came across your blog and saw the post about the wildfires. I am so happy you are OK. Hope this new year is a great one. What a wonderful surprise, Barbara. Last summer’s wildfires were scary. Bet you can guess two of the things I loaded into the car when we got the evac notice. If you guessed “Tell Me a Story” and “To Kill A Mockingbird,” you’d be absolutely right. I’m loving your small bird pictures. Added two to my gift list for my 2014. Hope your new year is filled with everything good.